The next beautiful custom home to emerge in Roubideau Reserve! This home will feature a modern farmhouse kitchen, large great room with a gas log fireplace and unique wine center, master suite with custom tiled walk in shower, jet tub and walk in closet. 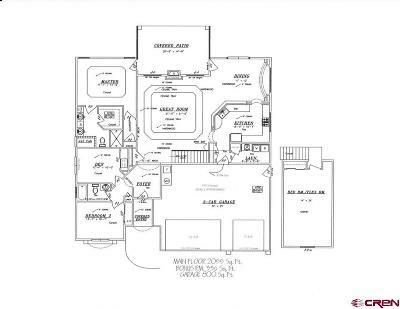 Use your imagination for the extra 336 square feet of bonus room over the 3 car garage...theater, fitness room, art or craft studio, play room, den or home office? Granite counter tops, custom cabinetry, stainless steel appliances and eating bar make the kitchen/dining/great room area a perfect place for gatherings. The large covered patio offers beautiful views of Grand Mesa while enjoying summer grilling. 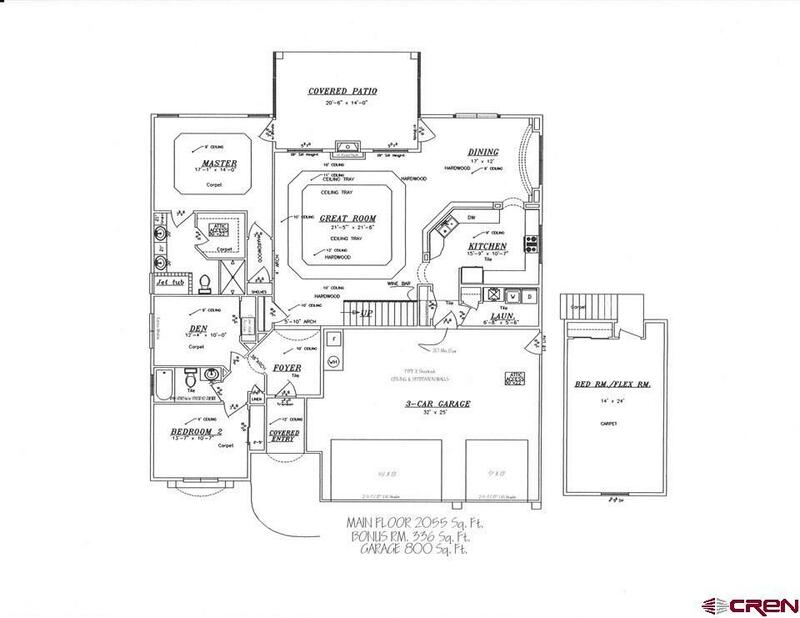 The over sized 3 car garage will have plenty of room for all your toys. Construction has started and if you get involved soon enough you can help pick out the finishes!